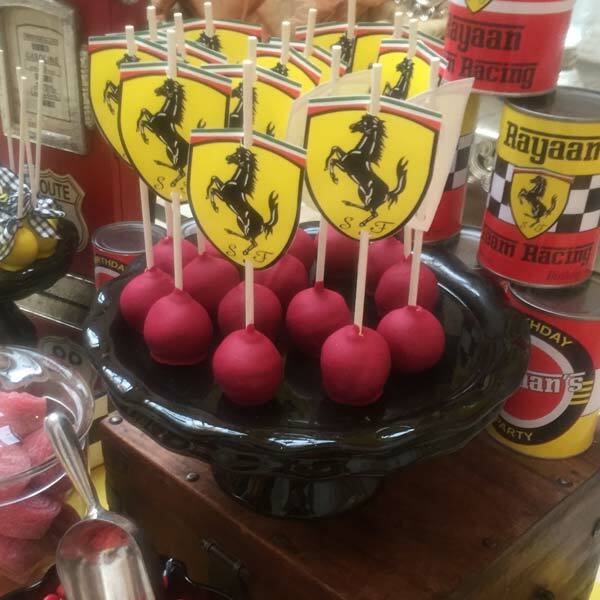 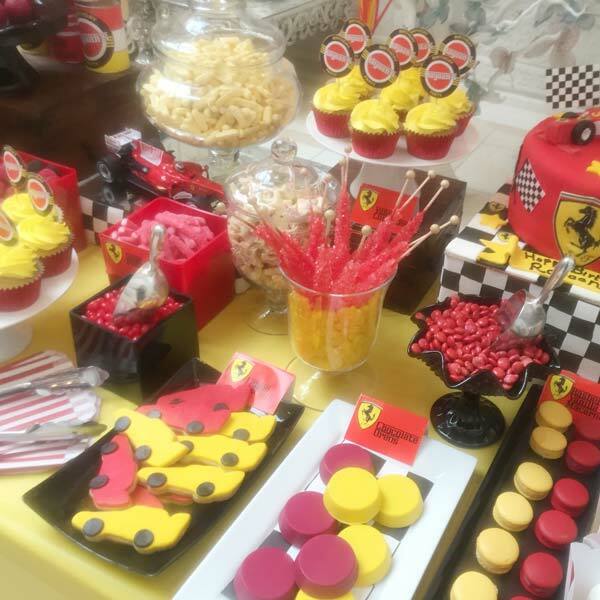 As part of our smaller range of Candy Buffet's designed for kid's parties we created a Ferrari themed Dessert Table and Candy Buffet Lots of bright colours and some Ferrari accesories to add to the look. 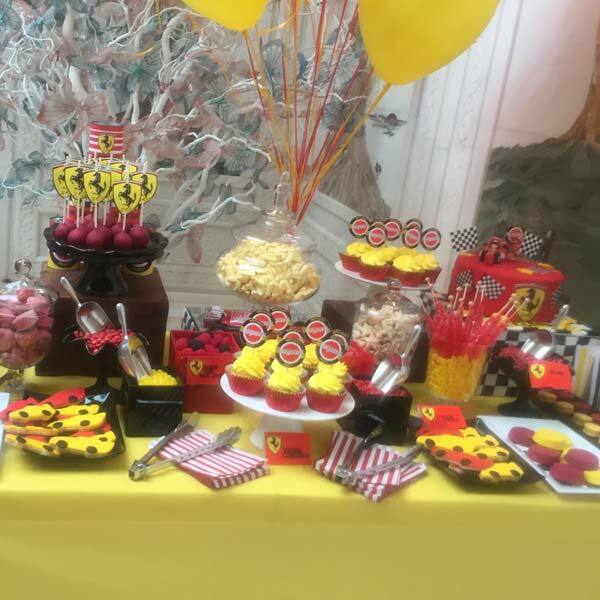 We also can add dessert items from Jellies shots to chocolate covered oreos and cupackes and birthday cakes. 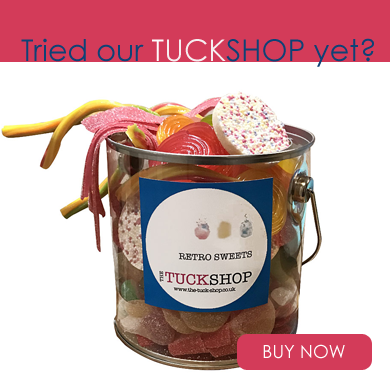 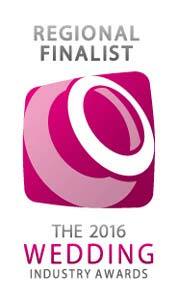 Please contact us if you would like more information.